As I go about my daily routine for this blog, I realize that it is inevitable that you immerse yourself as well with different social media available to be able to let your blog known to other people, specially those that have same interest as yours. So far, I am actively using Instagram, Facebook, Twitter, Bloglovin, and Chictopia. 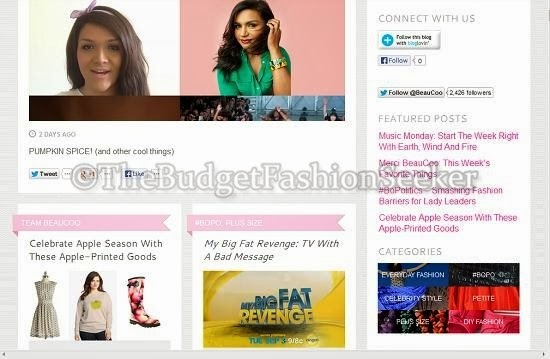 I use these sites/apps to promote my latest post in terms of status, outfit of the day photos etc. And every time I get some response in the form of clicks or comments, it really makes me happy knowing that there are people who appreciate my posts. Then I had a chance to be introduced to this new website called Beaucoo.com. I admit that I never encountered this website before. But upon learning this interesting haven of fashionable ladies, I tried looking up articles online about it. 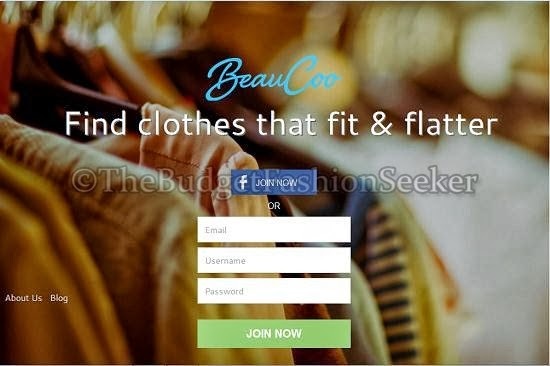 I learned that Beaucoo was launched last 2012 (read the entire article of Mashable by clicking this link (http://mashable.com/2013/09/03/beaucoo/), and the owners, namely Christian and Victoria McLean built it to empower women and promote Body Positivity (#BoPo). I began using Beaucoo last week (it is available for both iPhone and Android), and now I can say that I am really hooked! I like the girly look and feel of the app and that it is really simple to register and navigate around. Upon successful sign up, you can already edit your profile with your details and start posting your outfit photos! 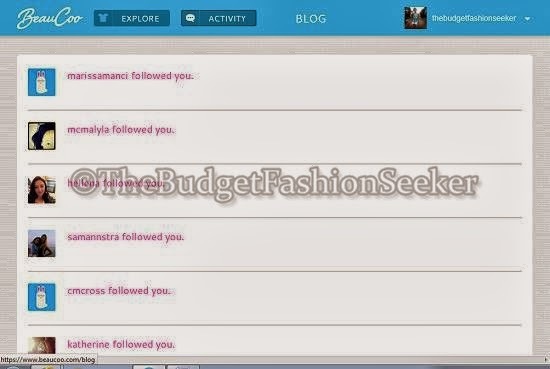 Details that you can include for each post are type (Top, Bottom or Full) of clothing, the size, brand of the clothes you wore, the store where you bought it, and some details that you might want to share regarding your post. They also provided a feature wherein you can edit your dimension (this is where your key body measurements are entered) so the next time you search for other users, you can already find people that match your size. I myself have been enjoying this feature. You might think that it is easy for me to shop for clothes since I am slim, but it is better for me to see an actual person wearing the item that I want, rather than see it on mannequins that don’t have realistic body measurements. At least that way, I’ll have clear idea if the piece would look good on me given my size. Another thing that excites me every day with my usage of Beaucoo is the response of the community to a newbie like me. I’m not sure if is only me, but it always put a smile on my face whenever I get new likes and followers. You’ll really feel that everyone is affirming you whatever body size you have. Since this community is young, a lot of active users are more on the other side of the world (yes, they have “find people nearby” feature). Don’t you think that it would be fun if Filipinas can be part of this community too? I know that we are great at shopping on wide range of stores and it will be a delight to know where most of these stylish girls in the metro shop for clothes. I’d be ending this post by sharing with you a video about Beaucoo and how they define Body Positivity. All I can say is, they had me at their opening quote “Happy girls are the prettiest” by Audrey Hepburn. So let’s all be happy and promote being positive with our bodies. Have a nice day and hope to see your profile on Beaucoo!